Roots Stimulator is a powerful root stimulator which ensures the explosive growth of the roots. Roots Stimulator encourages rapid root development in the early stages of the plant’s growth. Roots Stimulator speeds up the cell splitting process in the plant and takes care of the internal nutrient transport, and also acts as an effective guard against root disease. 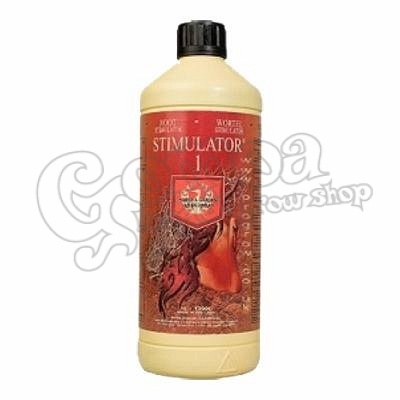 Roots Stimulator is a must have for every successful grower. House & Garden Roots Stimulator contains humic acids, lecithin and protein molecules, which stimulate extremely fast root development. The faster the roots develop the quicker the plants grow and recover from stress. Dilution Rate of Roots Stimulator is 1ml per 1ltr of nutrient solution. 1ltr of Roots Stimulator will treat over 1000ltrs of nutrient solution.